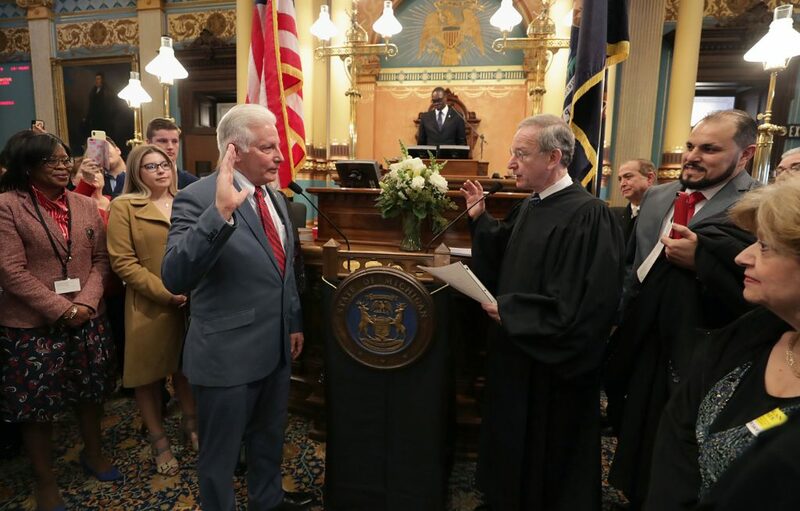 LANSING, Mich. — Sen. Paul Wojno (D–Warren) took the oath of office today to represent the citizens of Michigan’s 9th Senate District. Sen. Wojno begins his first term in the Michigan Senate with Bill Drake, Chief of Staff, and Connie Platte, Office Manager. The 9th Senate District is located in Macomb County and includes the cities of Center Line, Clinton Township (southern portion), Eastpointe, Fraser, Roseville and Warren.